Despite the amount of awards Maria Giuseppina has won and been nominated for, she’s still considered an insider’s tip. Grasso Cannizzo’s special design methods are based on her analyses of the urban context and the landscape, as well as her examination of the specific “story” behind each project. She translates the knowledge gained into minimal, self-aware, and sometimes radical concepts, which are ultimately always open to any changes that life and the passage of time may bring. 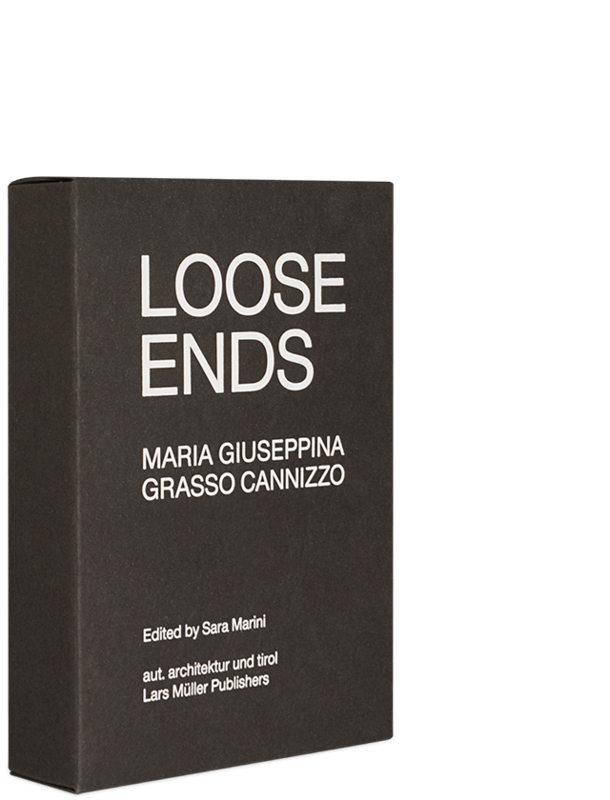 At the same time, this first comprehensive monograph is also a conceptual manifesto by Grasso Cannizzo. Collected in a black box, loose prints provide insight into her most important buildings and make it possible to see the architect’s general design methods. Maria Giuseppina Grasso Cannizzo was born in 1952. She studied architecture at the University of Rome, where she also taught from 1974 to 1980. Today she lives and works in Sicily.